Edward A. Schaefer, of Hamburg, a Navy veteran and Boy Scout leader, died April 10 in Buffalo Veterans Affairs Medical Center. He was 75. Born in Buffalo, he grew up in Sloan and was a graduate of Bishop Timon High School. He left his studies at the University at Buffalo to enlist in the Navy and served for 10 years. His assignments included the aircraft carrier USS Nimitz, where he was an aeronautical engineer. He then served in the Navy Reserve until 1994. Returning from service, he studied engineering at Erie Community College and worked as an engineer at Trico Corp. until the Main Street plant closed in the early 1990s. He then was an engineer at Scott Aviation and Curtis Screw, retiring in 2009. Mr. Schaefer became involved with Scouting at an early age. His mother was a Cub Scout den mother and his father was a Boy Scout leader. He became an Eagle Scout at the age of 17 and earned the Ad Altare Dei Award for Catholic Scouts. Before joining the Navy, he assisted his father as an adult Boy Scout leader. Upon his return, he was a Scout leader and adviser, working with disadvantaged boys. He led camping trips to Camp Schoellkopf, arranging for boys to go if their families were unable to afford it. 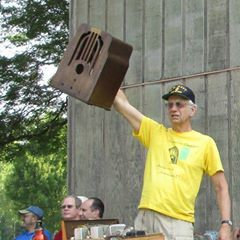 His hobby was finding old radios at flea markets and restoring them. His prize possession was a Philco radio that belonged to his grandfather, which he brought back to working condition. He was a member of the Niagara Frontier Wireless Association and the Antique Wireless Association. In addition to his sister, survivors include a niece and a nephew. A Mass of Christian Burial will be offered at 10 a.m. Monday, April 15, in St. Andrew’s Catholic Church, 34 Francis Ave., Sloan. Dale Anderson – Dale Anderson has been a Buffalo News staff reporter since 1968. He was the chief rock and pop writer for 20 years and helped establish the weekend entertainment magazine Gusto.